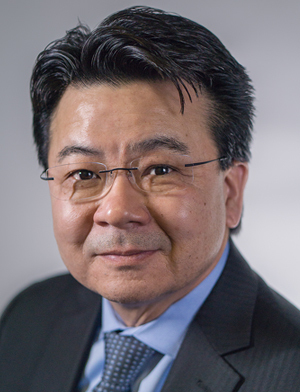 Dr. Craig Shimasaki is a scientist, businessperson, and serial entrepreneur with over 31 years of biotechnology industry experience, starting his career at Genentech. He co-founded four companies and is President & CEO of Moleculera Labs, a University of Oklahoma spin-out company focused on autoimmune neurobiology clinical laboratory testing. His passion is to see acutely needed medical products become readily available for patients who need them. He has assisted professors, physicians and scientists in translating their ideas into commercial products. He an Adjunct Professor at the University of Oklahoma, Price School of Business and teaches biotechnology entrepreneurship. Dr. Shimasaki is a co-inventor on several medical and diagnostic patents. His product development experience includes biologics, therapeutics, molecular diagnostics and medical devices, and he directed two CLIA Clinical Laboratories. He has led five clinical diagnostic tests through FDA approval and has been involved in raising over $60 million for these companies and participated in taking one company public. He has authored and edited two books “The Business of Bioscience: What Goes Into Making a Biotechnology Product” and “Biotechnology Entrepreneurship: Starting, Managing and Leading Biotech Companies”. He serves on several boards involved in entrepreneurial endeavors. Dr. Shimasaki received his BS in Biochemistry from University of California at Davis, his PhD in Molecular Biology from the University of Tulsa, and his MBA from Northwestern University, Kellogg School of Business. Dr. Cunningham is Co-founder and Chief Scientific Officer of Moleculera Labs. 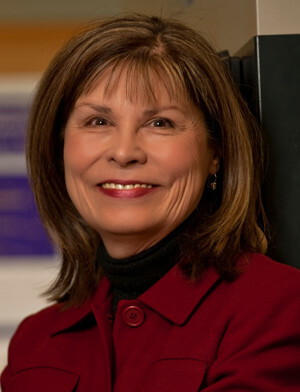 She is the George Lynn Cross Research Professor and the Presbyterian Health Foundation Presidential Professor and Microbiology and Immunology Director, Immunology Training Program University of Oklahoma Health Sciences Center. Dr. Cunningham’s laboratory has studied molecular mimicry, autoimmunity and infection related to inflammatory heart disease for the past 30 years. She has pioneered the development of human mAbs in understanding the pathogenesis of human diseases. Currently her laboratory is focused on translational studies of human diseases, to improve their diagnosis and treatment and determine how infections play a role in autoimmune diseases of the heart and brain. Dr. Cunningham is the director of an NIAID supported Immunology Training Program at the University of Oklahoma for the past 10 years. She has been the recipient of NHLBI Career Development and MERIT Awards and has been funded by NIH for the past 25 years. She is author of over 100 publications in peer-reviewed journals and speaks internationally on the findings of her research. Dr. Cunningham’s laboratory studies the role of autoimmunity and infection in the pathogenesis of movement and behavioral disorders associated with streptococci, including Sydenham chorea, the neurologic manifestation of rheumatic fever, and pediatric autoimmune neurologic disorder associated with streptococci (PANDAS). Her laboratory identified antibody mediated neuronal cell signaling as the potential basis for choreic movement disorders. Other related movement and neuropsychiatric disorders such as obsessive compulsive disorder, Tourette’s Syndrome and Tics are under investigation to determine the presence and role of autoantibodies which may signal in the brain for these diseases. View Dr. Cunningham’s lab at the University of Oklahoma which focuses on the investigation of molecular mimicry, autoimmunity, and infection. Mr. Hiller is the CFO of Moleculera Labs. 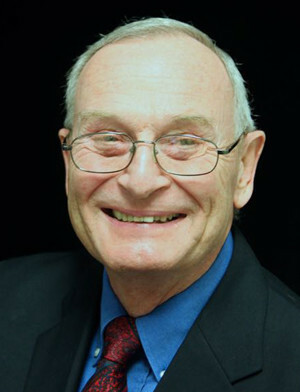 He brings over 45 years of strategic financial and operations experience to the company. He began his career as a certified public accountant with Touche Ross & Co. from 1962 to 1968. Between 1969 and 1993, he served in various corporate financial capacities at several multinational companies. Mr. Hiller was the corporate controller of Elgin National Industries Inc. and Columbia Pictures Industries, Inc. and was chief financial officer of Wilkinson Sword, Inc. Mr. Hiller has been a financial consultant to numerous companies since 1994. Mr. Hiller served as Chief Financial Officer for a publicly traded biotechnology company and a genetic-based CLIA laboratory testing for breast cancer risk assessment.